Many gourmet meals require the use of grease for proper preparation. Store your grease when cooking for later use with the grease container from Fox Run to be sure you always have it readily available at your fingertips. 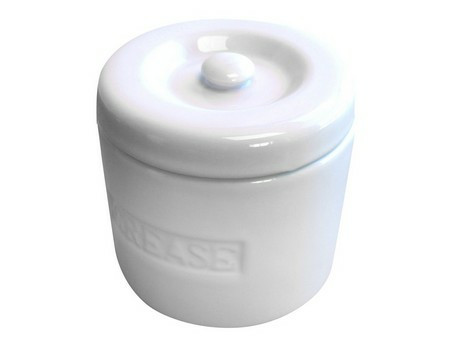 Made of quality, white porcelain, the container has the word "Grease" subtly imprinted across the front of the jar. The meshed strainer on the interior of the jar is used to remove any undesirables or solids from the grease, and the lid ensure that the grease inside is contained and free of contaminants. Always be prepared with this convenient grease storing container.